I have the silliest cat. 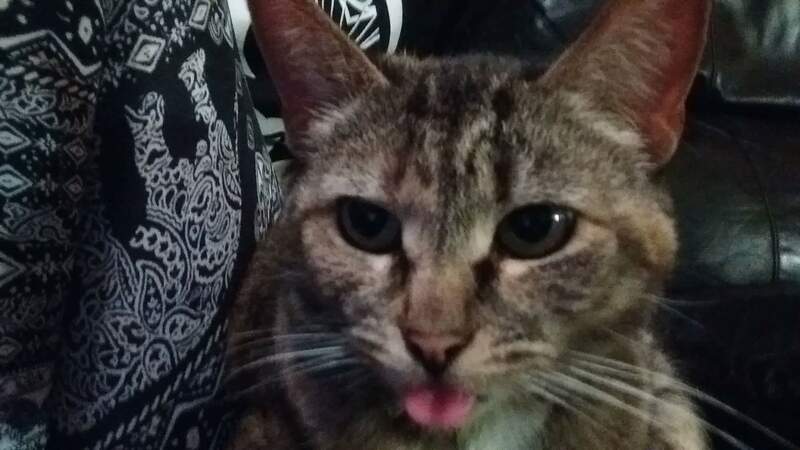 Daisy does this thing when she’s cleaning herself, and if she gets distracted, she forgets to put her tongue back in and just sits there, making this goofy face at everybody. It’s hilarious! Now the kids distract her on purpose just to get a big laugh out of her silliness.